Beginner to intermediate students who are at least 5 years old. I do not teach nor do I have a large concert harp. I only teach students who are interested in learning a 22-34 string celtic or gothic style lever harp. Diane delivers an exceptional lesson experience and ranks in the top 15% of our teachers nationwide. As I got older, I discovered playing the clarinet was fun but never gave up singing. I just did them both. After becoming proficient on clarinet, I explored flute, oboe, saxophone, piano and lastly, the celtic harp. I have over 20 years of experience teaching music lessons to children as young as 6 and adults as old as 50's/60's. 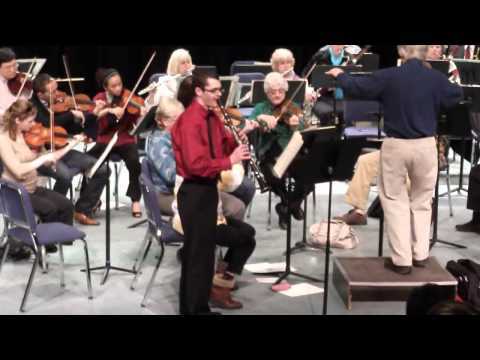 My student, Joel, playing with the Rochester symphony orchestra in their playing with the pros program. Two of my students performing in the citywide 8th grade honors band. Each student is chosen by their band director based on their playing ability.